As if keeping tabs on my kids’ calendars, total steps, and credit card balance wasn’t enough, Apple’s new feature that reports daily screen time has provided yet another thing to cause me angst — thanks a lot Apple! It turns out I spend an obscene amount of daily hours on my phone, from shopping on Etsy or Amazon, to working on my Salesforce or Google apps. But hey, at least I can take solace in the fact that I’m not alone — US mobile usage is now at 3.3 hours a day, more than double the 1.6 daily hours logged in 2012. Companies are all too aware of usage trends as well. In fact, data shows mobile is one of the top three technologies expected to have the most transformational impact on businesses by 2020. So if mobile’s growing ubiquity is common knowledge, why aren’t more companies delivering engaging mobile experiences? The answer is simple — it’s hard. Building user experiences for iOS and Android and enhancing them with backend services requires heavy development work and can become costly and time-consuming. This is especially true given that 48% of IT organizations have a significant mobile developer skills gap, with an additional 33% anticipating one in the next two years. And whether it’s fair or not, consumers today expect every mobile experience to be just as immersive, intuitive and easy-to-use as those of Spotify, Google Waze, or Instagram. That’s a high bar. This is why I’m so excited about Lightning Platform Mobile, a set of tools and services that are fundamentally changing how mobile app development is done, empowering businesses to bypass expensive development work and deliver beautiful apps that are fast, future-proofed, and tightly connected to customer data. One of my favorite examples is Jumbo, a century-old Dutch supermarket chain that built an employee app for internal collaboration and task management, and a customer app for nutritional info and same-day delivery orders — all in the span of eight weeks. Another is global equipment rental provider United Rentals, who armed its salespeople with an app that reduced the complexity of finding business opportunities and bolstered the team’s ability to drive sales. Mobile Services that make adding backend services a breeze for business users. 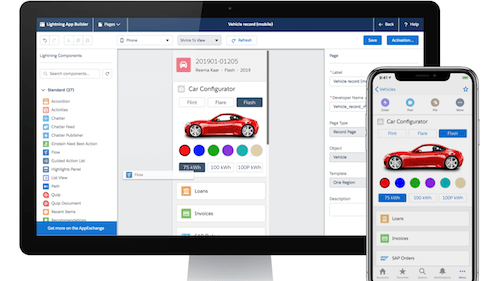 With Mobile Services, admins can add more power to their mobile apps with elaborate workflows, Einstein’s declarative AI services, and integration to third-party data. And new with this release, admins can add mobile push notifications — all with the click of a button. 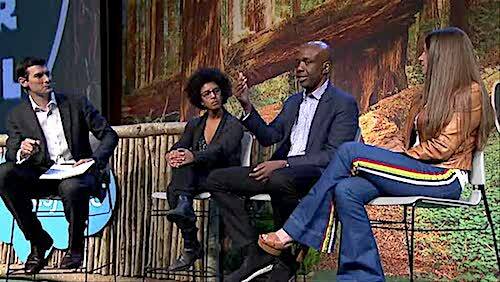 And most important of all, mobile apps built on Salesforce are tapping into the world’s #1 CRM, ensuring robust customer data acts as the lifeblood that powers everything companies build on our platform. 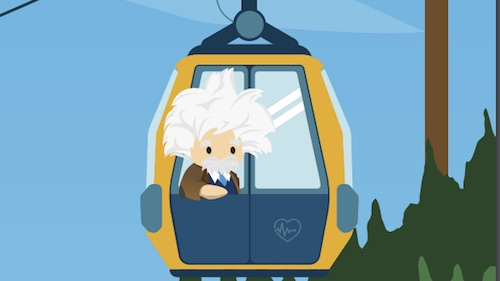 My next post will dive into how companies can tap into the broader ecosystem of Salesforce AppExchange offerings and industry partners to realize their visions for mobile. On that front, following our Apple partnership announcement at Dreamforce we recently announced that the Salesforce Mobile SDK for iOS is now live, and available for businesses and developers to build apps for iPhone and iPad. In the meantime, you can read more about Lightning Platform Mobile here, learn the necessary skills for low-code mobile publishing on Trailhead here, and you’re always welcome to connect with me on Twitter at @LeylaSeka. According to Apple Screen Time, I’m on my device for four hours and 42 minutes every day, so I’m not that hard to catch. Read about how Trailblazers like United Rentals, Jumbo, National Instruments and Crossmark are building mobile apps with low-code and solving real business problems along the way.